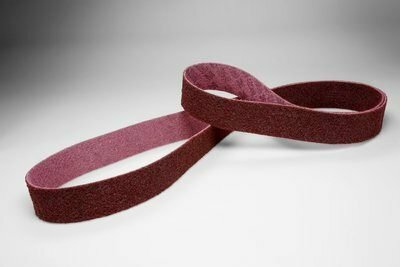 3M Scotch-Brite non-woven SC-BL sanding belt uses aluminum oxide as the abrasive material. Since this product is non-woven, grade is generally used to describe the abrasiveness; with the 17534 having a medium grade. This particular 3M sanding belt is 2 1/2 in wide by 60 in long. View More In Sanding Blocks.